Our Nylon Reversible Belts are BACK IN STOCK! Due to the overwhelming response from our initial announcement, we have decided to extend the introductory price out one LAST TIME. 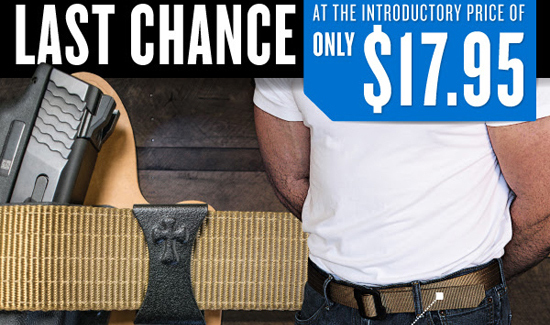 Make sure to pick up one of these great belts now for ONLY $17.95! CrossBreed® Reversible Nylon Belts now come in two reversible color options—Coyote Brown/Black or OD Green/Black. This dual-layer nylon belt is constructed of rip-resistant nylon with five rows of stitching to provide needed support when concealing. 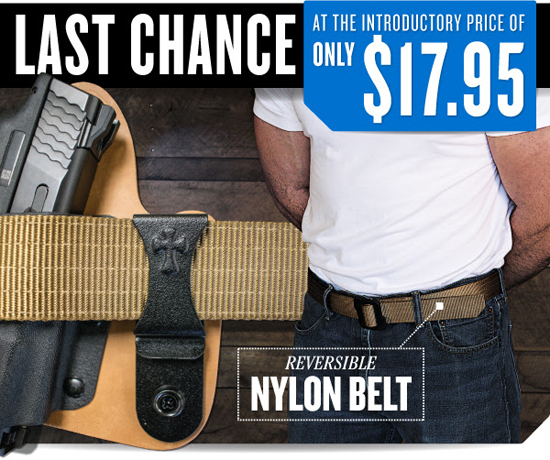 The Reversible Nylon Belt has a non-metallic buckle which makes it perfect for corrections, security, and travelers. Reversible Nylon Belt in Coyote Brown & Black – BUY NOW! *NEW* Reversible Nylon Belt in OD Green & Black – BUY NOW!